Movies.com > Movie News > Marvel Studios Countdown: Vin Diesel Takes a Mighty Marvel Meeting, but for What Movie? Marvel Studios Countdown: Vin Diesel Takes a Mighty Marvel Meeting, but for What Movie? All it takes is one little sentence, shared from a movie star via social media, and all of fandom erupts. In this case, it’s Vin Diesel, and the Fast and the Furious star’s Facebook update that said simply, “Marvel has requested a meeting... no idea what for... haha, you probably know better than me...” Do we? There are some key roles in current Marvel Studios productions that have yet to be cast, and, with San Diego Comic-Con looming, there’s the matter of Marvel’s unannounced “Phase Three” projects. Vin Diesel could be courted to play, well, just about anybody - hero, villain or animated raccoon. Now, before we roll up the sleeves on our Avengers tees and get to guessing, it should be noted that all that happened was a meeting. At this point, we don’t know if any offers were made or if Diesel is even interested in jumping into a third franchise (is Riddick a franchise yet?). Let’s start with who Diesel is not playing: Ant-Man. No way, no how. He’s about 180 degrees from Hank Pym, the Marvel scientist who becomes Ant-Man, and the mere suggestion by some fans is preposterous. Last week, rumors flew that Armie Hammer was being considered, but I have an inkling that the role will be filled with someone more well-known. Ant-Man has cinematic potential, but his name is such a joke with the general public, Marvel will need someone that will make audiences take notice (even if it’s a comedic actor in the role, like an Adam Scott or Paul Rudd). No offense to Diesel, but would you buy him as one of the world’s leading scientists? Could you see him talking quantum physics alongside Downey as Stark and Ruffalo as Banner? Probably not. Could you, however, picture him saying, “BLAM! Murdered you!” as he puts rounds in the heads of alien foes? 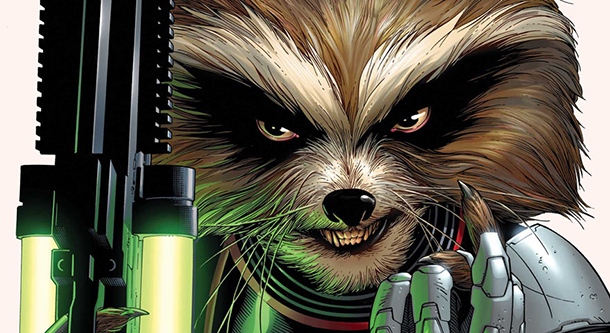 That, I can see, which makes him a really perfect out-of-the-box choice for Rocket Raccoon. This would be in line with James Gunn’s ridiculous ensemble which includes Chris Pratt as the leader of a bunch of alien mercs like Zoe Saldana as the deadliest woman in the universe and former WWE Superstar Dave Bautista as strongarm Drax the Destroyer. Rocket would ostensibly be the costar to Pratt as Star-Lord, and a vocal performance should leave time on Diesel schedule for the quick production turnaround for the upcoming Fast 7. Damion Poitier may have been a one and done as Thanos in the final reveal of Avengers (and Kevin Feige has said as much), which means that the role is completely up for grabs. Most fans thought Benicio Del Toro would be filling the golden gauntlets when he was cast in Guardians, but it seems he’ll be playing the Collector instead. Can you picture Vin Diesel as Thanos? Strangely, I can’t, because on some level Thanos isn’t the type of character to demand a recognizable actor in the part. 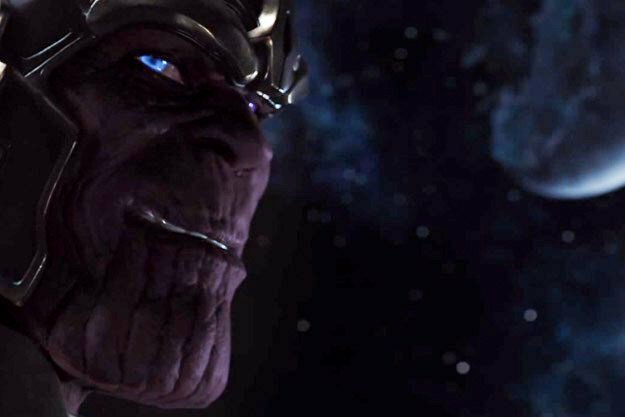 Thanos will most likely be a multifilm baddie (appearing in Guardians and ramping up in Avengers 2), and it doesn’t make a lot of sense to hide Diesel under prosthetics while trying to negotiate his salary and schedule for multiple films. They probably won’t put a star with a recognizable face behind purple makeup and a chin piece just to do it. Avengers 2 stands to gain nothing by having Diesel attached. Audiences won’t be showing up to that sequel for Vin Diesel; they’ll be showing up for the Avengers and Thanos. In the case of Thanos, like Loki before him, a movie star is just not needed here. A good actor, yes, but not a movie star. Some fans have pointed at Diesel as a possible Black Panther, but Marvel will most likely cast someone, um, a little more black. Diesel’s melting pot looks allow him to play roles across many races, but I have to believe that he’s still seen as too “white” for the role of an African prince like T’Challa. Physically, Diesel would look good in Black Panther’s full costume, but I don’t think anyone wants to see Marvel’s most prominent black role go to someone who describes his own heritage as an “ambiguous ethnicity.” It’s a tricky subject with fans, as we’ve seen whenever comic book characters get a “race swap” (Kingpin in Daredevil for example), but Black Panther is almost certainly a character defined in large part by his lineage. That’s really the only time the subject should come up: is it part of the character’s history to be a specific race? Perry White in Man of Steel is played by Laurence Fishburne and it’s a total nonissue. T’Challa’s a little bit different. We may not find why Diesel and Marvel met until San Diego Comic-Con, and even then, if the talks went nowhere, we may not find out at all. The part that makes the most all-around sense is Rocket Raccoon in Guardians of the Galaxy, in terms of the schedule, the amount of work, and the need for the character to have a voice that is both distinct and highly marketable (while incongruously hilarious). Casting Vin Diesel as a talking raccoon feels like something James Gunn would do, and I’d be surprised if this weren’t the plan. Then again, I love surprises, and who knows? Maybe Diesel is circling a project Marvel fans have barely even considered. Stay tuned.